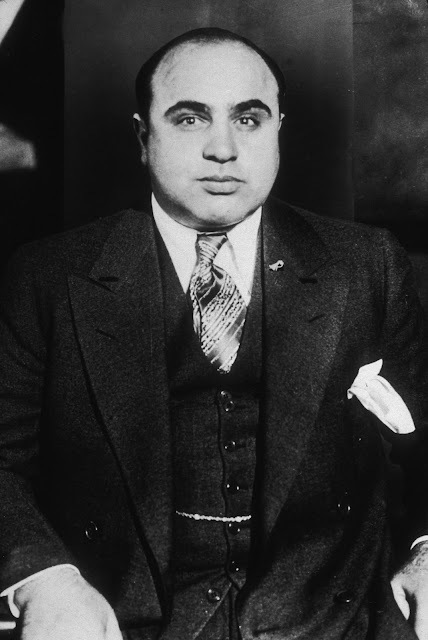 (January 17, 1899 – January 25, 1947) was an United States gangster who led a Prohibition-era crime syndicate. The Chicago Outfit, which subsequently also became known as the "Capones." In the 1920s to 1931 Capone's syndicate dominated the smuggling and bootlegging of liquor in Chicago. Born in Brooklyn, New York, in 1899, of an immigrant family, Al Capone quit school after the sixth grade and associated with a notorious street gang, becoming accepted as a member. Johnny Torrio was the street gang leader and among the other members was Lucky Luciano, who would later attain his own notoriety. About 1920, at Torrio's invitation, Capone joined Torrio in Chicago where he had become an influential lieutenant in the Colosimo mob. The rackets spawned by enactment of the Prohibition Amendment, illegal brewing, distilling and distribution of beer and liquor, were viewed as "growth industries." Torrio, abetted by Al Capone, intended to take full advantage of opportunities. The mobs also developed interests in legitimate businesses, in the cleaning and dyeing field, and cultivated influence with receptive public officials, labor unions and employees' associations. In 1925, Capone became boss when Torrio, seriously wounded in an assassination attempt, surrendered control and retired to Brooklyn. Capone had built a fearsome reputation in the ruthless gang rivalries of the period, struggling to acquire and retain "racketeering rights" to several areas of Chicago. That reputation grew as rival gangs were eliminated or nullified, and the suburb of Cicero became, in effect, a fiefdom of the Capone mob. 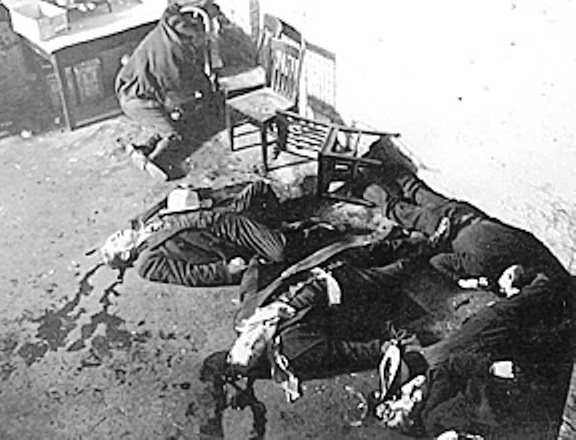 Perhaps the St. Valentine's Day Massacre on February 14, 1929, might be regarded as the culminating violence of the Chicago gang era, as seven members or associates of the "Bugs" Moran mob were machine-gunned against a garage wall by rivals posing as police. The massacre was generally ascribed to the Capone mob, although Al himself was then in Florida. The investigative jurisdiction of the Bureau of Investigation during the 1920s and early 1930s was more limited than it is now, and the gang warfare and depredations of the period were not within the Bureau's investigative authority. The Bureau's investigation of Al Capone arose from his reluctance to appear before a Federal Grand Jury on March 12, 1929, in response to a subpoena. 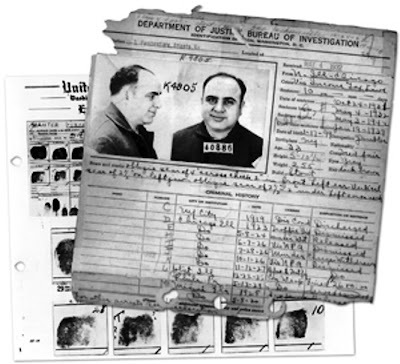 On March 11, his lawyers formally filed for postponement of his appearance, submitting a physician's affidavit dated March 5, which attested that Capone, in Miami, had been suffering from bronchial pneumonia, had been confined to bed from January 13 to February 23, and that it would be dangerous to Capone's health to travel to Chicago. His appearance date before the grand jury was re-set for March 20. On request of the U.S. Attorney's Office, Bureau of Investigation Agents obtained statements to the effect that Capone had attended race tracks in the Miami area, that he had made a plane trip to Bimini and a cruise to Nassau, and that he had been interviewed at the office of the Dade County Solicitor, and that he had appeared in good health on each of those occasions. Capone appeared before the Federal Grand Jury at Chicago on March 20, 1929, and completed his testimony on March 27. As he left the courtroom, he was arrested by Agents for Contempt of Court, an offense for which the penalty could be one year and a $1,000 fine. He posted $5,000 bond and was released. On February 28, 1936, Capone was found guilty in Federal Court on the Contempt of Court charge and was sentenced to six months in Cook County Jail. His appeal on that charge was subsequently dismissed. Meanwhile, the U.S. Treasury Department had been developing evidence on tax evasion charges - in addition to Al Capone, his brother Ralph "Bottles" Capone, Jake "Greasy Thumb" Guzik, Frank Nitti and other mobsters were subjects of tax evasion charges. Suffering from paresis derived from syphilis, he had deteriorated greatly during his confinement. Immediately on release he entered a Baltimore hospital for brain treatment, and then went on to his Florida home, an estate on Palm Island in Biscayne Bay near Miami, which he had purchased in 1928. Following his release, he never publicly returned to Chicago. He had become mentally incapable of returning to gangland politics. In 1946, his physician and a Baltimore psychiatrist, after examination, both concluded Al Capone then had the mentality of a 12-year-old child. Capone resided on Palm Island with his wife and immediate family, in a secluded atmosphere, until his death due to a stroke and pneumonia on January 25, 1947. In the “roaring twenties,” he ruled an empire of crime in the Windy City: gambling, prostitution, bootlegging, bribery, narcotics trafficking, robbery, “protection” rackets, and murder. And it seemed that law enforcement couldn’t touch him. The early Bureau would have been happy to join the fight to take Capone down. But we needed a federal crime to hang our case on—and the evidence to back it up. In those days, racketeering laws weren’t what they are today. We didn’t have jurisdiction over prohibition violations; that fell to the Bureau of Prohibition. Even when it was widely rumored that Capone had ordered the brutal murders of seven gangland rivals in the infamous “St. Valentine’s Day Massacre,” we couldn’t get involved. Why? The killings weren't a federal offense. Then, in 1929, we got a break. That’s when we got involved. We were asked by U.S. Attorneys to find out whether Capone was on the level. Our agents went to Florida and quickly found that Capone’s story didn’t hold water. When he was supposedly bedridden, Capone was out and about—going to the race tracks, taking trips to the Bahamas, even being questioned by local prosecutors. And by all accounts, his health was just fine. 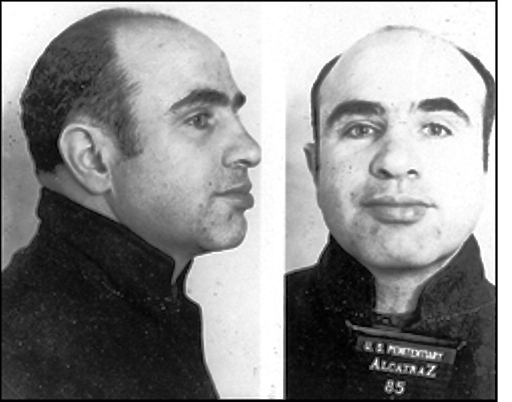 In the end, it took a team of federal, state, and local authorities to end Capone’s reign as underworld boss. Precisely the kind of partnerships that are needed today as well to defeat dangerous criminals and terrorists.